Professor Anthony Scott has been appointed a Fellow of the Academy of Social Sciences in Australia, which recognises scholars who have built distinguished careers in one or more of the social science disciplines in Australia. Professor Scott leads the Health Economics Research Programme at the Melbourne Institute of Applied Economic and Social Research and jointly coordinates the University of Melbourne Health Economics Group. "It is a great honour to be elected to the Academy and be recognised for my research and standing in health economics and in the social sciences," said Professor Scott. "I hope it will highlight the importance of health economics research in creating a more efficient and equitable health care system. The current inefficiencies and inequities in the health care system are leading to illness, harm and deaths which could be avoided. These problems are complex and solving them requires careful and rigorous research based on engagement with policy makers, politicians and the public." Professor Scott lead the establishment of the Medicine in Australia: Balancing Employment and Life (MABEL) panel survey of doctors in 2007. The research produces insights on the decisions doctors make which influence access to health care. It provides a strong and independent evidence-base for helping to support the medical workforce and improve access to health care for those in need. 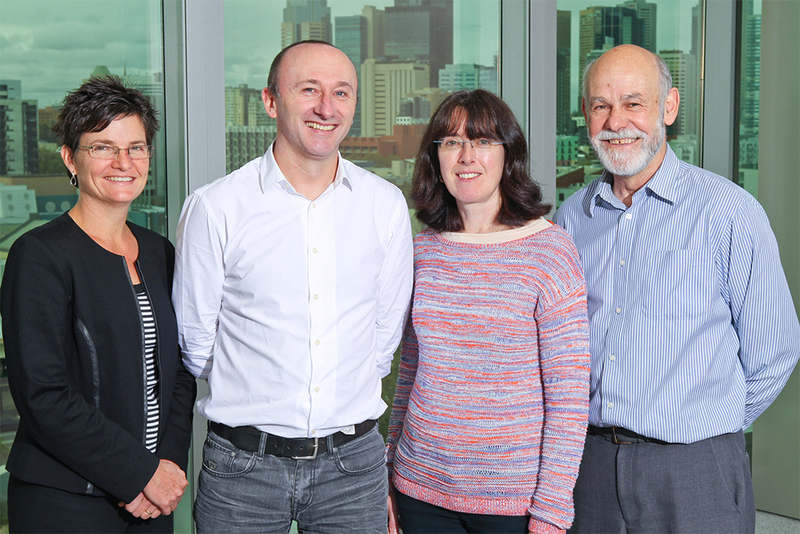 Assoc Prof Catherine Joyce, Prof Anthony Scott, Prof Guyonne Kalb and Prof John Humphreys at the MABEL Research Forum at the University of Melbourne on 6th May. Professor Scott, along with thirty-eight other elected Fellows, will be inducted at the Academy's Annual Symposium and General Meeting7-9 November 2016.